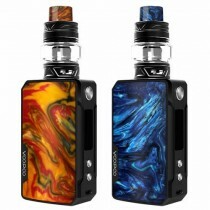 The new Voopoo Caliber kit is the new vape pen style kit comprising the Caliber mod and UForce sub ohm tank. 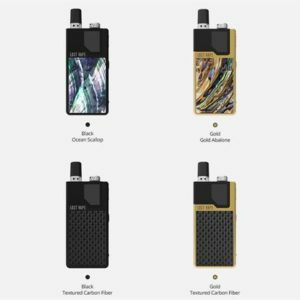 The Caliber mod is a 3000mAh battery with a gold plated fire button and LED indicator light. The mod will output up to 110W which is huge for a Vape Pen – so make sure you use the coil heads which are compatible. We recommend U4 0.23 coils. 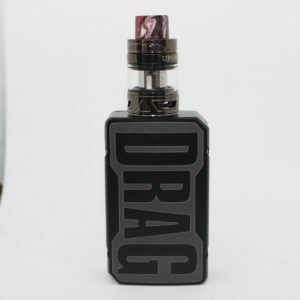 The VooPoo Drag Mini Kit is powered by built in 4400mAh battery, supports a powerful output of 117W. 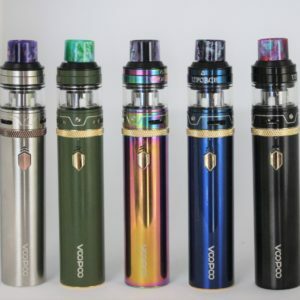 INNOKIN PROTON SCION 2 KIT – The Innokin Proton Scion 2 Vape Kit is a large and ergonomic device with a unique user interface that utilises a joystick-like controller. 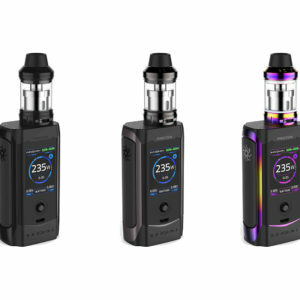 The Proton Kit also comes with Innokin’s Scion II tank, with a host of improved features on its predecessor, including a sliding top-fill and a brand new atomiser; the Plexus coil, which is Innokin’s take on the Mesh coils that have come onto the market in recent times. 5ml extension glass available to be purchased separately. 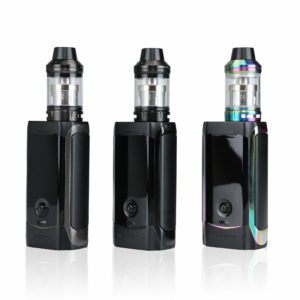 Geek vape Aegis Mini Kit is powered by 2200mah built-in battery and can reach up to max 80W output. The mixture of alloy, leather and SLI silicon provides intense durability and great ergonomics. 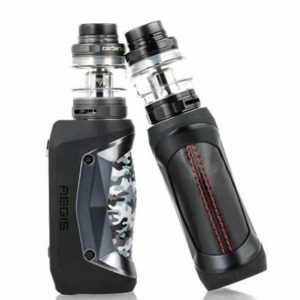 The Aegis Mini is designed to be the most durable mod with extreme water, shock and dust protections. There is a top refill system and adjustable bottom airflow. Cerberus sub ohm tank optimised by the ultimate Super Mesh coil that maximises heating contact surface area in order to provide maximum flavour and large vapour production. 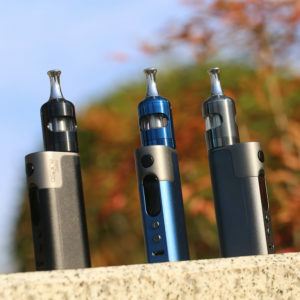 The Geek vape Aegis Mini kit can be powered by 2A fast charging, which can charge up to 80% in just 20 minutes. 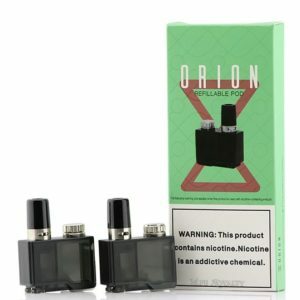 Orion DNA GO, the world’s first Pod Mod equipped with highly sophisticated Evolv DNA Go Chipset. Pocket size but packs a punch! Perfect for vapers and smokers who are looking for alternatives. Great for using with Nic salts. Comes in a pack of two (2) pods.